With my birthday just around the corner, it is normal to take some time to reflect on just where I am and where I want to continue guiding my life. More and more I find that my life is shaping in a very positive way, becoming more and more involved in service work (in penitentiaries) and hopefully starting teacher training to be able to be a more effective person in society and the dharma. In Buddhist practice it is commonly held that we should live a life of service, to help others and in turn creating a more compassionate world for all of us to live in. For positive change to take place in the world, we have to get our asses off the meditation cushion, we dedicate a time of each day to formal meditation practice, but the rest of the day we can effect change with our actions, speech, and livelihood (which are all integral parts of our practice). Meditation is necessary to create positive change, but if we just practice to get really good at meditation it is not enough, we must bring this practice out into the world, like Gandhi said “Be the change we wish to see in the world”. 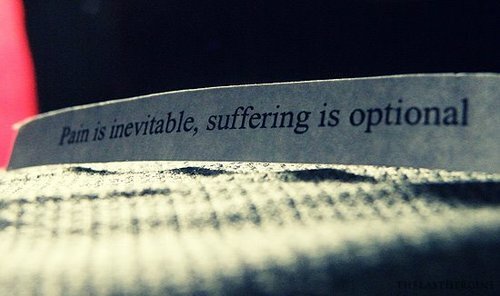 The Buddha spent seven years meditating on the causes of suffering, and through his own effort he experienced the end of suffering. He spent the rest of his life teaching others how to end suffering through wise understanding, intentions, actions, speech, livelihood, effort, mindfulness, and concentration. He consistently spoke out against war and all forms of violence. He was an ally to the poor and oppressed as well as a council to the rich and powerful. He acted locally on the issues of his time. 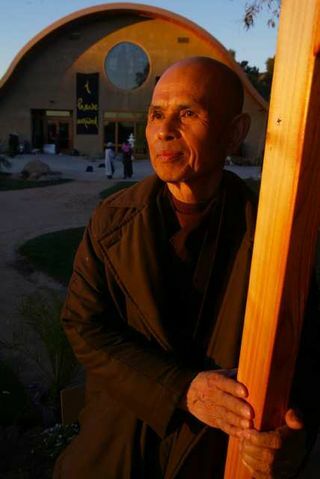 He addressed sexism, racism, and war in his society and was a local activist as well as a spiritual teacher. 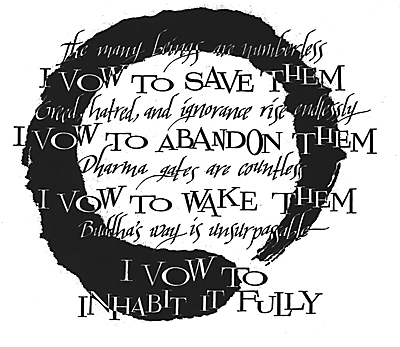 The Buddha founded a community, a sangha in Buddhist terms, of ethical behavior, spiritual practice, and political engagement that eventually led to a radical shift in Indian thought and action. He changed the world then and now. We could then say that the point of our spiritual practice is to live life with greater ease and well-being, but also to utilize our life’s energy to bring about change in the world. The intention of our practice is then not to spend our lives in silence on the meditation cushion, it is to bring this wisdom and compassion into the world and our relationships with others. This practice teaches us very valuable things to persevere with diligence and be more skillful in our interactions with others. The understanding and compassion that develops from meditative practice is wise action, bringing this practice to the streets and helping the needy, protecting the oppressed, and educating others on the teachings of compassion, kindness, generosity, and forgiveness. Of course, social change comes from small groups of like-minded people, Gandhi and Martin Luther King jr. were supported by groups of people during their non-violent campaigns against colonisation and racism. By themselves they would not of have had as great an impact. It is their communities that supported them that helped them have the impact that they had. The power of community is the basis for all political, social, and spiritual transformations. This of course brings us back to the Buddhist concept of the sangha, the community, that is always an integral part of a healthy spiritual practice. There is a need to walk with friends the path of awakening, to meditate with, and to serve with. In other words, the sangha is the container for the teachings, the people who you share your experiences and get the support that you need to power on when it gets tough. This community is also very important in continuing the teachings, without these people who live a life of ethical behaviour, meditative discipline, and compassionate action, the teachings would have died a long time ago. The way of the bodhisattva recognizes that the goal of spiritual practice is not about what we can get for ourselves or what we alone can experience. Rather, it is about how we can serve the truth of interconnected existence and defy the false belief that life is about serving ourselves and living as if we were separate from all others and from the world itself. The tools for the bodhisattva are education; resources of money, time, and energy; our capacity to protect others from harm; and our ability to express spiritual change in others. 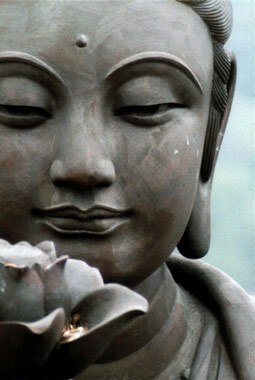 This compassion is natural and cultivated for the bodhisattva. It is the outcome of our internal transformation to use our life’s energy to help others awaken from confusion and to not only respond to our pain with compassion and kindness, but that of others around us. Service-oriented actions help bring about transformation in people, and also helps our gradual awakening. This is definitely the way that my life’s energy is heading, the more that I practice the more I feel the need to help others. My reflection has brought me to the realization that our work is not done in society, we must gather together and help create this change that is so desperately needed. 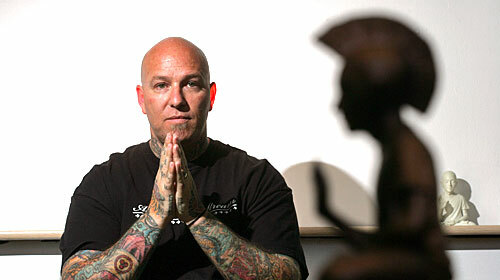 I know that it is not something that can be done on my own, the sangha is crucial in all of this. Why not get a group together in your community to help shift perceptions and create a more caring compassionate society? I have told myself that on a daily basis I will remind myself of this and continue my work to help shift people’s perspective on the poor and the inmates in our prison system. Who belongs in public parks? 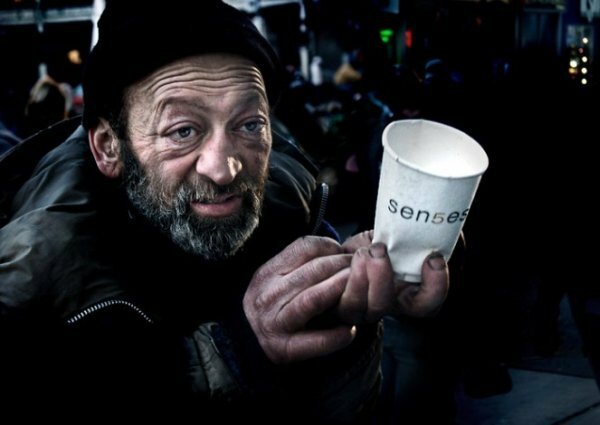 The homeless are usually viewed as a social problem by people in office, cities think that they scare away tourism and give their cities a bad image. I am sure that you have all heard of cities displacing their homeless during peak tourist seasons to help “clean up” their image, but I find that this is also a reflection of society as a whole and how they view those less fortunate. Public parks are a usual space where the homeless can survive, and it is also a good area for non-profit groups to come and help feed those in need. These are public spaces, but more and more, these spaces are being taken away from those that have nowhere to go. Monroe Park in Richmond VA has been such an area, but now this green space is about to be fenced up and made inaccessible to those who need it the most. Monroe Park is the oldest park in the city of Richmond, it is the only green public space in the center of the city. For the past twenty years churches, food pantries, and social justice groups have given warm meals, clothing to the most vulnerable citizens in Richmond. The city wants to get rid of the homeless and these groups. City councilperson, Charles Samuels, has called these dedicated feeding groups “random” and outright claimed that these groups “facilitate homelessness”, claiming that the people who need these services the most would be better off without them. He wants these groups to be moved miles away by the city jail. Samuels is promising to erect a 9 foot fence around the park as it undergoes renovations, which is to last between 9 to 18 months. The plans also claim that women do not like homeless people and to be able to attract more women to the park there needs to be a ration of 1 to 75-100 apparently homeless to non-homeless. This plan also includes the hiring of private security guards. Of course, no one is against the renovations for the park, but many believe that the park does not need to be completely shut down for these renovations. They can be done without the closing of the park. This is not just a fight for the rights of the homeless, but also for the gentrification of this area. The homeless are being openly and forcibly removed from a public area and the city is opening its doors to private interests and to their policing the area. There is a petition that you can sign at change.org to show your disapproval for such a campaign, also make sure to watch this video that explains in greater detail what is going on at Monroe Park. I think that it is important that we all speak up against this, organizations like Food Not Bombs are not random and provide a vital service to those most in need. This is just another attempt at gentrification and pushing aside even more citizens that need our help the most. I find that we must also take a minute and think about how we would feel if the shoe was on the other foot. 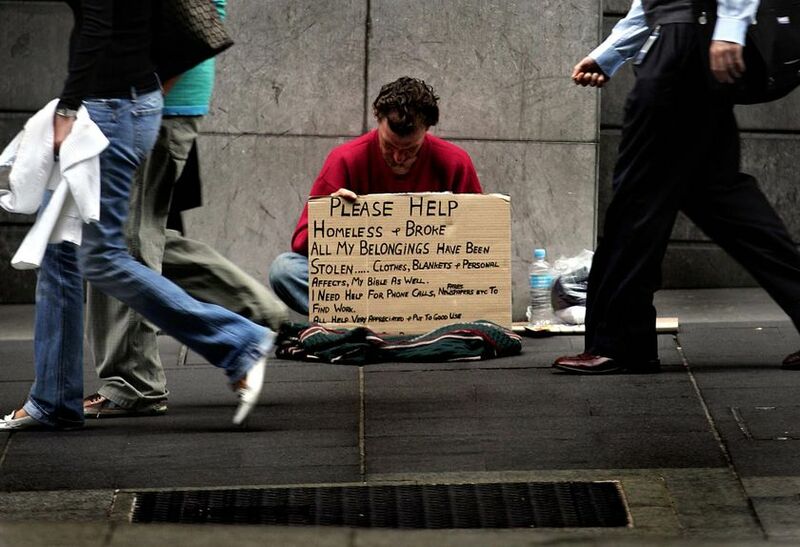 We can lose everything so quickly and be put in this situation, homelessness is not born out of ignorance or laziness, there are many factors that can be the cause and we should not be so quick to judge. 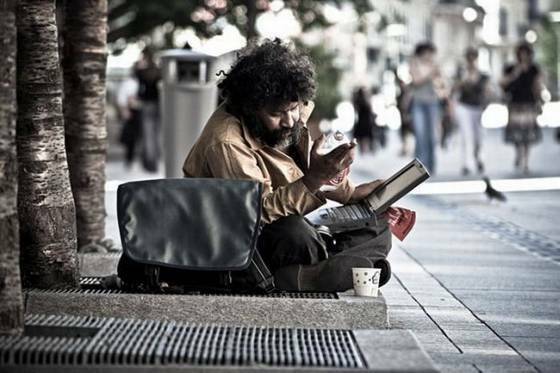 The next time that you cross someone on the street that is homeless, think about how you would like to be met if you were them. You can donate time and money to help these people, but you can also at least meet them with a smile. Random acts of kindness also can help these people get through the day, buying a cup of coffee, sharing your lunch, or at least saying hello and reminding them that they are also human beings that crave and treasure human contact and relationships. 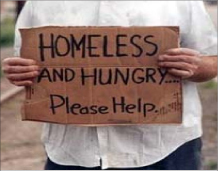 We cannot ignore the homeless, we must help them and try to install programs that will help them better their lives. Won’t you be happy that these programs are running if you ever have to turn to them for help? 1492, do you know what happenned? October 12th in the USA is a holiday called Columbus Day, a day of celebration for the person that “discovered” America, Christopher Columbus. In Canada, we do not have this holiday, but I have always found this holiday to be wrong. Why are we celebrating this man? Americans are taught in school that Columbus arrived to America and befriended the natives and helped bring to them “civilized” society. As a child, I am sure that I would believe that the discovery of The New World would have been done in a peaceful manner, why would anyone cause harm to anyone else? As I got older and started reading up on the discovery of my continent by the Europeans, I found that maybe the picture was not so pretty. The image of someone bringing a better way of life to the native people was slowly turning into images of genocide and slavery. This also applies to my country with Jacques Cartier and the colonization of “New France”, Samuel de Champlain also being the person that colonized the first official and most successful settlement that would later be called Acadia (as an Acadian I have read up a lot on the first colonies of Canada). Seeing as it is October 12th today I will focus on Columbus day and its opponents, most of my information will be from Howard Zinn‘s book A People’s History of the United States (If you have not read this book, what are you waiting for? A necessary account of our history from the perspective of natives, slaves, women, all the voices that are silenced in most accounts of our history, a must for everyone! ), which some will argue is not an accurate account of Columbus’s arrival in America. I believe that Howard Zinn is one of the few historians that has painted an accurate picture of history and the colonization of the continent, I think that this may be why so many people have a hard time accepting what is said, we do not want to believe that our country was founded with the death and destruction of indigenous people. Howard Zinn begins his book, A People’s History of the United States, with the arrival of Christopher Columbus. There are many passages from his diary that are used to show his impressions of the natives in the Caribbean and his vision for this “new world”. His first impressions, I find, set the ground for what would happen in the future with the Europeans treatment of indigenous people on the American continent. The natives of the Caribbean, just like their mainland brothers and sisters, were known and remarkable for their hospitality and their belief in sharing. These are traits that did not stand out in the Europe of the Renaissance, dominated by the religions of popes, the government of kings, the frenzy for money that marked Western civilization and the first messenger to the Americas, Christopher Columbus. His greed for gold was demonstrated by one of his first contacts with the natives upon his arrival. We must remember that Columbus was not expecting to discover a new continent, he had persuaded the king to fund an expedition to the lands, the wealth, that he was expecting to find on the other side of the Atlantic, the Indies and Asia, gold and spices. Like many people of his time, he knew that the world was round and that he could go west to reach the far-east. It was thought that there was gold in Asia, at least silk and spices, which equalled wealth in the states of the modern world. A sea route to Asia had become necessary since the Turks had conquered Constantinople and the eastern Mediterranean, and they controlled all land routes. Spain promised Columbus 10 percent of the profits, ownership over new-found lands and the fame of a new title: Admiral of the Ocean Sea. The discovery of America happened in early October 1492, 33 days after the crew left the Canary Islands off the east coast of Africa, the sights of branches floating in the water and flocks of birds was a sign that land was up ahead. 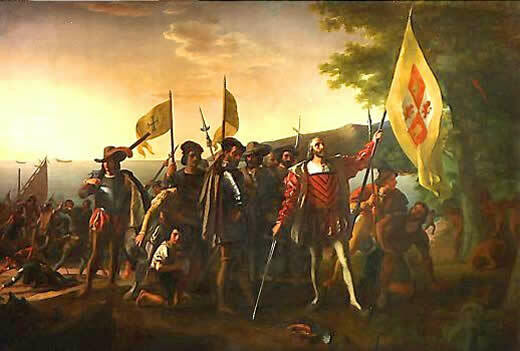 On October 12th a sailor named Rodrigo saw white sands from the light of the moon and cried out, the first man to sight land was supposed to get a yearly pension of 10 000 maravedis for life, but he never received it, Columbus claimed to have seen a light the evening before. It was the island of Bahamas that was first seen by the crew, they were greeted by the Arawak Indians who swam up to the boots to meet them. The Arawaks lived in small village communes, they had developed agriculture of corn, yams, and cassava. They were able to spin and weave, but they had no horses or work animals, they had no iron, but they wore tiny gold ornaments in their ears. This had enormous consequences, Columbus took some of the natives prisoner and insisted that they guide him to the source of gold. Zinn then explains the travels that Columbus embarked on to fulfill his greed for gold. He then sailed to what is now Cuba, then to Hispaniola (the island which today consists of Haiti and the Dominican Republic). There, bits of visible gold in the rivers, and a gold mask presented to Columbus by a local Indian chief, led to wild visions of gold fields. Hispaniola became the first European military base in America, it was built from the timber of the Santa Maria, which had run aground left 39 crew members with the instructions to find and store the gold. He named this “fort” Navidad (Christmas), he took more natives prisoner and put them aboard the two remaining ships for his return to Spain. It is said that Columbus then got into a fight with two natives because they would not trade as many bows and arrows as he and his men wanted, they were run through with swords and bled to death (a sign of the times to come). Upon his return to Spain he began entertaining the kind of Spain with part-fact part-fiction accounts of his discovery of Asia. The Natives, he described: ” are so naive and so free with their possessions that no one who has not witnessed them would believe it. When you ask for something they have, they never say no. To the contrary, they offer to share with anyone….” Based on the exaggerations of Columbus’s account of the new world, he was given 17 ships and 1 200 men, the mission was clear: slaves and gold. And thus the beginnings of the colonization of America. I find that this account of the first arrival of Europeans really shows what is to come in the history of our continent. I recommend that you read Howard Zinn’s book to get a different view of our history that is not based on conquest and empire, but more on the struggle of the people that have helped make our countries great. There are many movements out there that are trying to have accounts like this of Columbus’s discovery, to change this holiday celebrating heinous crimes against indigenous people and the creation of the modern slave trade. Reconsider Columbus Day has put out a public service announcement for the 2010 holiday, asking people to reconsider exactly what we are celebrating. This campaign began in 2009 and they will continue airing this until there is a nationally recognized holiday for the recognition of indigenous people. The statement of the website says: ” We began this Public Service campaign last year in 2009, but the fight is not over and we will continue to run this message as long as it takes. 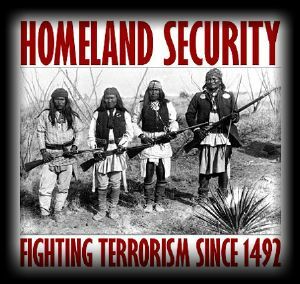 Please help us take action and petition here for a nationally recognized Indigenous holiday so that we can honor the people who were here first.” Please take the day to inform yourself about this holiday, this is yet another example of celebrating crimes against nations in the name of “progress” and “civilization”. Being neutral and pretending like this never happened is not right, don’t be afraid to speak up and reconsider what we should be celebrating. Seeing as how the Thanksgiving holiday is coming to an end here in Canada, I thought that it would be interesting to talk about a buddhist practice of eating mindfully. The thanksgiving holiday is usually illustrated with images of families getting together and enjoying big meals of turkey and pumpkin pies, a representation of the first meal between natives and “pilgrims” (the white people who showed up from Europe), it is also timed with the fall harvest. We are meant to give thanks to diverse things in our lives, a humbling experience, to help us realize what is truly important in our lives. With this focus on food and eating, we should examine our relationship to food and our mindfulness practice. I am sure that most of you who have been on retreat have done what is called “eating meditation”, something that we unfortunately do not do in our daily lives, we seem to shove whatever food we can between meetings and errands that we may have throughout the day. This practice, however, should be in our daily routines, by doing so, we could help control our weight (we live in a world where there are more people who are overweight than are hungry or underweight) which in turn will help us steer away from many health problems that are linked to unhealthy eating habits, and also help us have a better relationship with our food and bodies. In the dimension of space and time, We chew as rhythmically as we breathe, In the dimension of space and time, We chew as rhythmically as we breathe. Maintaining the lives of all our ancestors, opening an upward path for descendants. So when we eat mindfully we can be in direct contact with our ancestors as well as our descendants and use the time of eating to see how we can nourish the best things our ancestors have passed onto us and how to continue to transmit what is most precious to future generations. 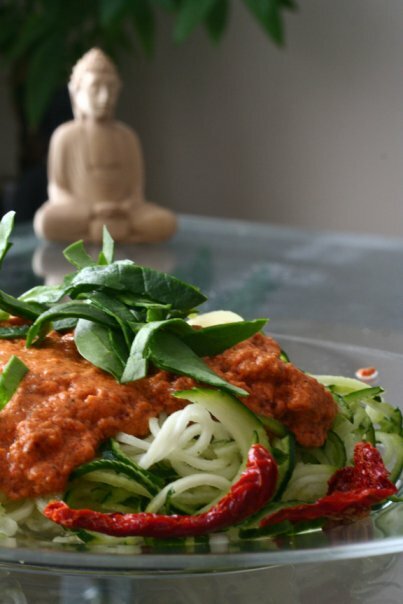 An ongoing debate in Buddhist circles is what kind of diet one should have if they are to practice mindful eating in relation to the precepts. If we take the menu of Plum Village where Thay lives, it would be a vegan menu of simple foods, it is believed that the most nourishing food (nutrition and spiritually) is one that is not born out of suffering (depending what your beliefs may be about factory farming). A typical menu when on retreat is oatmeal for breakfast, a vegetable meal for lunch (grains and steamed vegetables for example), and then something light like soup for supper. It is important to eat what is most healthy, seeing as how food can, just like any other stimuli, can trigger emotions and feelings that will manifest in our minds. Food can thus create positive or negative emotions in our minds, of course this relationship will vary from person to person. We live in a country of abundance, we have easy access to foods and drinks that are not good for us and that are served in big portions. There are very persuasive advertising that bombards our senses and we are then conditioned to crave these unhealthy foods. Besides filling our bodies with foods high in sugar and fats, we are becoming more and more of a car based culture, we are thus eating heavier and fatty foods all while moving less. Our lives are always fast paced, how are we to be mindful in our living if we are trying to accomplish seven things at a time? (talking on the cell phone, checking e-mail, watching TV, and putting some pre-made food in our mouths?) This is one of the main reasons why people can not live in the moment and are not fully aware of what they are eating and what they are doing, which is essential for maintaining a healthy weight. 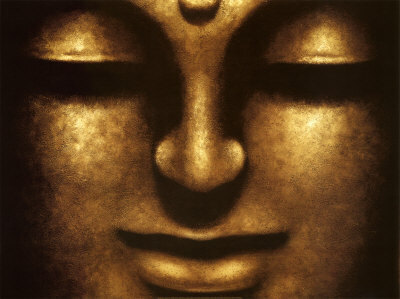 1- This food is the gift of the whole universe: the earth, the sky, numerous living beings, and much hard, loving work. 2- May we eat with mindfulness and gratitude so as to be worthy to receive it. 3- May we recognize and transform our unwholesome mental formations, especially our greed, and learn to eat with moderation. 4- May we keep our compassion alive by eating in such a way that we reduce the suffering of living beings, preserve our planet, and reverse the process of global warming. 5- We accept this food so that we may nurture our sisterhood and brotherhood, strengthen our community and nourish our ideal of serving all living beings. 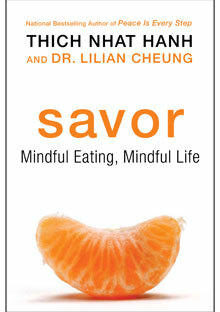 If this idea of eating more mindfully is something that interests you, I highly recommend that you pick up Thay’s new book Savour and develop a practice where you will have a healthier relationship with your food and mind. We are working towards a more mindful life, this includes all activities in our lives, no matter what we are doing we must take the time to treasure every experience and be as present and aware as possible. This is how we will be able to live life most fully and to help maintain healthy relationships with others and ourselves. Take the time next time that you sit to eat and see how it feels to take the time to savour every bite! Happy Thanksgiving everyone!